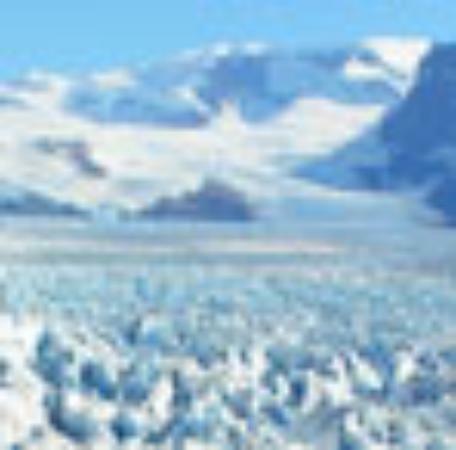 an hour drive from Disney World Resorts. shallow water fishing in all of Florida. snook, trout and many more game fish! many angler's bucket lists for good reason! The flats and back-country waters in and around Tampa are some of the finest fishing grounds in the world for Snook, Tarpon, Redfish, Trout and Cobia. There are shallow flats, and miles of peaceful back-country which are the breeding grounds of most game fish. You can target schools of Redfish roaming the flats, Trout feeding in the miles of healthy sea grass, Tarpon Rolling along the bridges and passes throughout the bay, or Snook lying in the miles of undeveloped Mangroves lining Tampa Bay. There is also fantastic near shore fishing around many artificial wrecks, and reefs where you’ll find Grouper, Mackerel, Mangrove Snapper and many other species that will make for a great day of fishing! 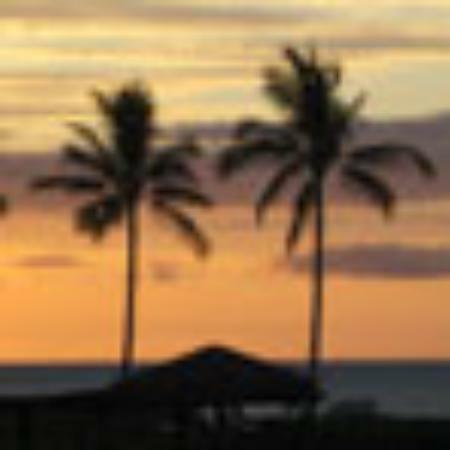 Top that off with a breathtaking daily sunrise and sunset frequented with Dolphins and Manatees. It’s all waiting for you here. 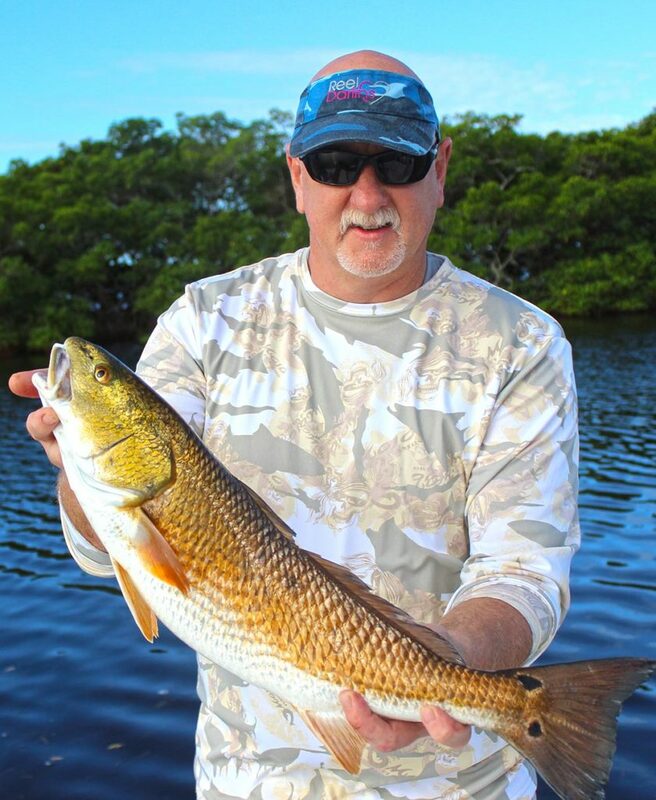 Tampa flats fishing offers some of the most exciting fishing for redfish, trout, snook, and more! Come catch the “Silver King”! Florida’s most amazing game fish! Capt. 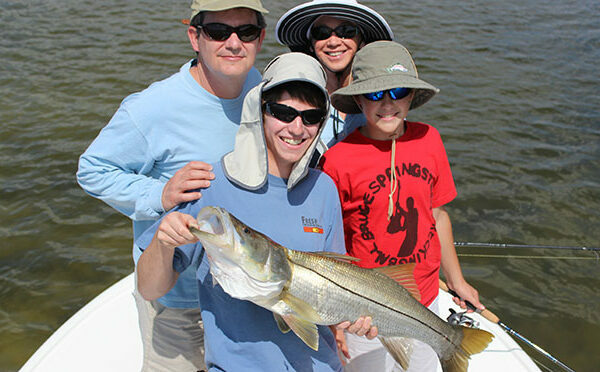 Jason offers fishing adventures for small, medium, and large groups — including corporate outings! Book your Tampa Fishing Charter Today! BOOK NOW! While browsing the site, take a moment to view our Tampa fishing photo gallery, where you’ll see some of the many species of fish our fishing charter customers have recently caught. We’ve also included some Tampa area information, as well as fishing articles, and Tampa fishing regulations. Check out the fishing action in Tampa! Catch a glimpse of what Steady Action Fishing Charters offers! Fishing from the backcountry to the beaches and everything in between for redfish, snook, trout, tarpon and much much more! Tampa Bay is one of the state’s largest natural harbors which houses a plethora of gamefish who call this place home. Tampa Bay is also the state’s largest natural open-water estuary. What this means for you is nonstop year round fishing action! Tampa Bay is fed by well over a 100 inland tributaries. In these you will find brackish water rivers and creeks that allow for some of the best backcountry fishing action in the state. This also provides temperate waters for game fish to congregate in when water temps change in the bay. Tampa Bay also houses a huge mangrove system that creates prime habitat for our more than 200 species of fish. Tampa Bay has an overall average depth of 12 feet, but this is broken up by huge natural grass flats for prime sight fishing opportunities, as well as deeper channels that house much larger inshore gamefish. If you want to learn even more about fishing with us here, you can visit our Trip Info and FAQ pages. Amazing day on the water with Capt Jason!! Never short on laughs and quality fish! I have been fishing with him for 14 years!! Steady Action Fishing Charters has dedicated services just for those who wish to charter fish in Tampa Bay. 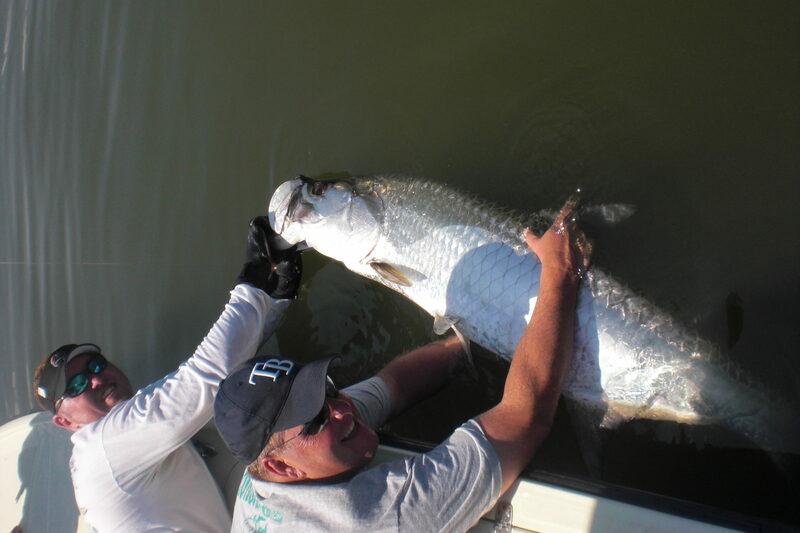 We offer everything from inshore sight fishing to battling with the Megalops (tarpon). 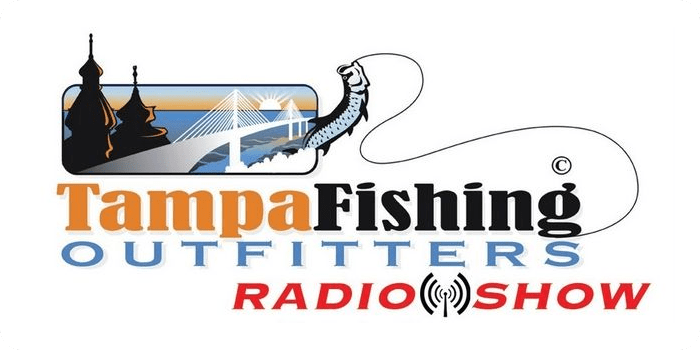 Captain Jason Prieto is a local guide who shares his expertise locally on the Tampa Fishing Outfitters LIVE Fishing Report, as well as with all of his clients. 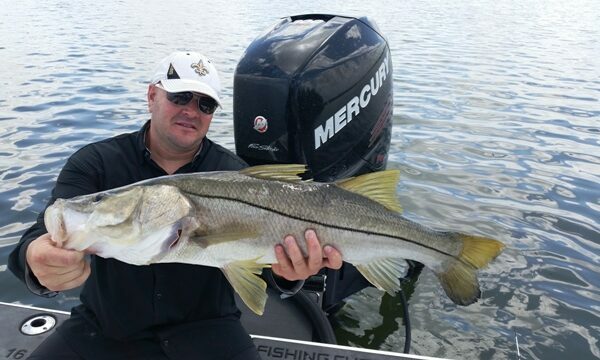 He is truly dedicated to this fishery, and is the best option for your next Tampa fishing charter. Dozens of shallow water species call Tampa Bay home — from redfish, snook, trout, tarpon, sheephead, spanish mackerel, mangrove snapper… you name it. If it swims in the Gulf of Mexico, you can probably catch it in Tampa Bay. Tarpon range from 30lbs up to over 200lbs and the average tarpon caught on a tarpon fishing charter during the summer is right around 100lbs. Tarpon are known for their drag screaming runs and their high-flying leaps during the fight. Steady Action Charters is owned and operated by Tampa fishing guide Captain Jason Prieto, a Florida Gulf Coast native who has been fishing the waters of Tampa Bay and St. Petersburg his entire life.